You are here: Home » Blog » Be a savvy sale shopper! Be a savvy sale shopper! It’s that time of year again when everywhere seems to have a sale on and we are tempted into buying stuff that we don’t need. Here’s my tips to getting a genuine bargain – something that you actually need, want and will wear! Plus some ideas on how to revamp items you already have. 1. First thing’s first – have a clear out! Before you even think about sale shopping, review of your wardrobe and get rid of anything that doesn’t fit (too big or too small), hasn’t been worn in 12 months and garments that are just getting a bit tired. Charity for the first 2 and bin for the last one! If you’re not sure about the clothes you’ve not worn for ages, ask yourself why you haven’t worn it – if you find yourself making excuses then it needs to go or if you’re still a bit reluctant, challenge yourself to wear it within the next 7 days – if it’s not been worn, you need to say “goodbye” to it. 2. 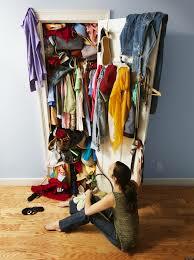 Next, arrange your wardrobe so you can see what you HAVE and, therefore, what you NEED. 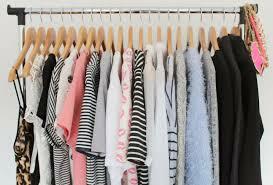 Try sorting your wardrobe by putting garment type (e.g. top, trousers, skirts, dresses etc) together and then sorting by colour. This way you can see very easily what you’ve got and can put outfits together quickly. It’s also a great way to revamp things – try putting different tops and bottoms together than what you would normally or layer blouses under dresses. Voila – suddenly you’ve even more outfits. 3. Tidy your accessories. 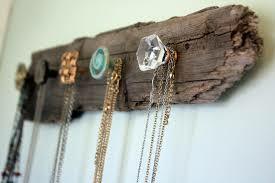 Trying hanging up your necklaces, scarves and belt on nails on the inside of your wardrobe so you can see everything. It makes completing an outfit really straightforward and you can revamp a garment just by wearing it with a different necklace or putting a belt on. Tidying and sorting your wardrobe will make it so much easier and quicker to get dressed in the morning, you’ll have time for that 10 minute work-out you’ve been promising yourself. Have a read of Casey Ho’s blog – full of help, tips and ideas for getting in shape plus she has lots of 30 day challenges and pilates orientated work out videos! 4. Now, have a good look at yourself. Yes, before you go serious shopping to replenish what you’ve culled, it’s important to remind yourself (no matter how hard it can be) what you look like. What’s your body shape, has it changed, what dress size (roughly) are you, what do you like, what would you like to disguise? If you’re not sure of your shape, pop by the Boutique where I can help for free – I’m an accredited Colour Me Beautiful stylist. If you would like more dedicated time and one on one help, a restyling or me to help with your wardrobe, you can book me – check out the website for more information and pricing. 5. Write a list. Feels a wee bit practical, but fear not, you will still get the joy of going round the shops, having a good rummage and you can try on as many things as you please. 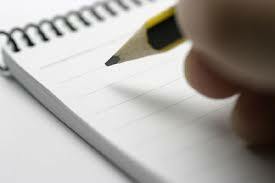 HOWEVER – a list will focus your buying and help you to save money because you won’t buy anything you don’t need or that doesn’t suit you. 6. Go to your local, independent boutiques first! Not only can you feel virtuous about supporting a local business and ensuring diversity of choice on the high street, you will also find uncommon fashion, great brands, bargains and, most importantly, help and advice! At Just g Boutique, we love to help out with suggestions to suit your lifestyle, shape, budget or occasion requirements. If you’re a bit unsure about boutique shopping – get following some on Facebook or Twitter and you’ll get to see pictures of what’s in stock and a feel for the service you’ll receive. You can follow Just g Boutique on Facebook. Or there’s Twitter, Instagram at Just_g_fashion and I’m on Pinterest too! I hope this has helped and we look forward to seeing you in the Boutique – our sale is on now!